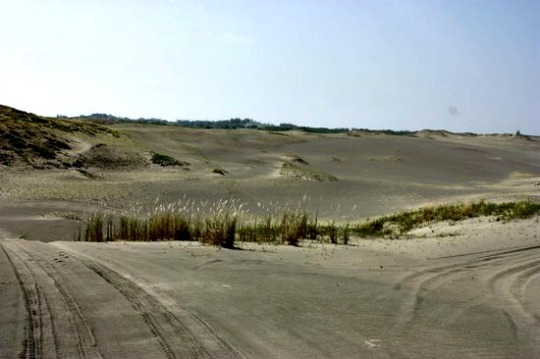 Ilocos Norte has a new tourism pitch with the launching of the province’s picturesque sand dunes here as a site for film productions. Governor Imee Marcos introduced the sand dunes as possible location for movies as she unveiled film tourism as another means to draw tourism and business activities for locals. “We came up with this film tourism considering the innumerable films both in the local and international level that had been shot here particularly in the Paoay sand dunes,” said Marcos during the opening day of the sand festival, Himala sa Buhangin. Veteran movie actress Susan Roces, Poe’s widow, showed up during the sand festival opening on May 1 and unveiled the statue in simple rites. “I am very much elated with this tribute to my husband… to keep his memories alive here in Paoay sand dunes,” Roces said. She said her appearance in the festival was her homecoming from the time she last visited the province in the 1980s when her husband was filming his movie. “FPJ was greatly inspired with the natural environment of Paoay sand dunes that cannot be seen in other parts of the country. He was also inspired with the sincerity and cooperation of locals during the shooting of Ang Panday,” Roces added. The statue of “Flavio” was immortalized by Filipino visual artist Raphael David. The sculpture illustrated a scene where the iconic character was hurling his magical sword against a supernatural enemy. “The main sculpture was done using fiberglass. For the sword, the same material as the sculpture was used but with stainless steel features,” said David. Last year, the statue of “Elsa,” the main character in multi-awarded movie “Himala” and portrayed by Filipino movie superstar Nora Aunor, was installed and unveiled during the festival’s second year.